A town filled with pain, revolt, and hope — that’s the Brumadinho we found when we arrived here on Saturday afternoon, a day after a mining dam collapsed in this small Brazilian town causing a catastrophic mudslide. 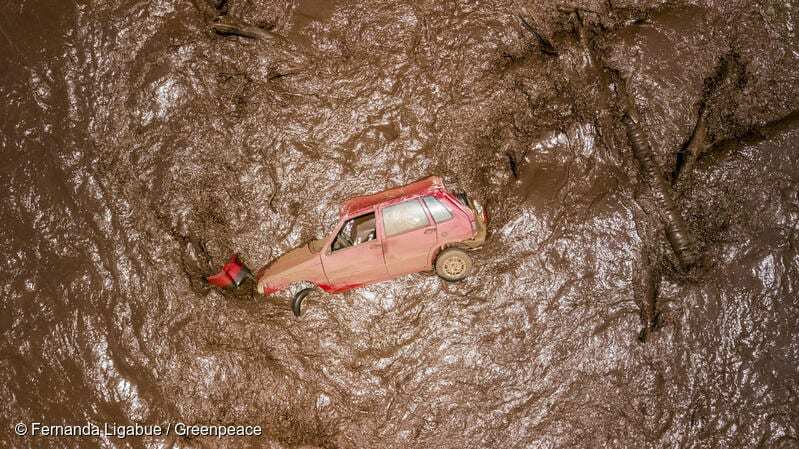 A car dragged by the toxic mud, ending up in the Paraopeba River. On January 25th, a tailing dam from an iron ore mine from Vale, a Brazilian mining company, collapsed, flooding with almost 13 million m³ of toxic mud the district of Córrego do Feijão, in the city of Brumadinho, in Minas Gerais state. 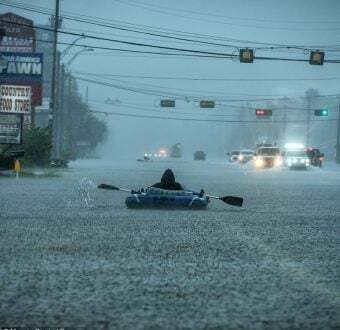 Authorities search for survivors amongst the havoc. Rescue cars rush up and down the streets. Crowds of people carry provisions, water bottle crates and other necessities. A Greenpeace team traveled to the village of Brumadinho in Minas Gerais State, to document the extent of the human and environmental tragedy caused by this disaster and help ensure transparency about what’s happening here while giving voice to those affected by it. The reports of people who have lost their family, home, access to water and much more are very moving. Brumadinho is a small town. The kind of town where everyone knows everybody, which means it’s hard to find someone who doesn’t know any of the victims of the tragedy. It’s touching to see how many people have mobilized in order to shelter and care for those affected. We were near where the dam collapsed, in Córrego dos Feijões, when a local school teacher, Diego, came to help us. He has been working non-stop since Friday. First, aiding in the rescue efforts, and then managing donations and the many people who arrive in town to volunteer their help. Diego lost students and relatives in this disaster but hasn’t been able to take a break. “I haven’t had time to even think about mourning,” he told me with a sad look in his eyes. Irani Paiva, in the district of Córrego do Feijão. Her house is just a few meters away from where the toxic mud wave hit, near the impact area. This environmental crime takes place a little over three years after the dam collapse in the city of Mariana, also in Minas Gerais state, controlled by Vale and British-Australian BHP. In Córrego dos Feijões, about 3 kilometers from Vale’s dam, I met Dona Irani, a resident who narrowly escaped the collapse. She had passed by the area just a few minutes before the sea of mud descended upon the town, destroying everything. “After it all happened, a pain overwhelmed my heart, and I couldn’t stop crying,” she told me as she walked with her daughters and granddaughters to the house that will soon be evacuated, not knowing yet what would happen to the family afterward. At the time of writing, there are currently 60 confirmed deaths and more than 290 people missing. And the danger still isn’t over. We woke up on Sunday at about 5:30 AM to sirens blaring and rescue workers yelling for the residents of lower Brumadinho to leave their homes and seek shelter in the higher parts of town. It was believed another dam had collapsed. Despite the false alarm, there is an imminent risk that dam VI – containing 3 to 4 million cubic meters of water – will collapse, destroying parts of the town not yet hit by the mudslide from the tailing dam. Wreckage of a house in the district of Córrego do Feijão. 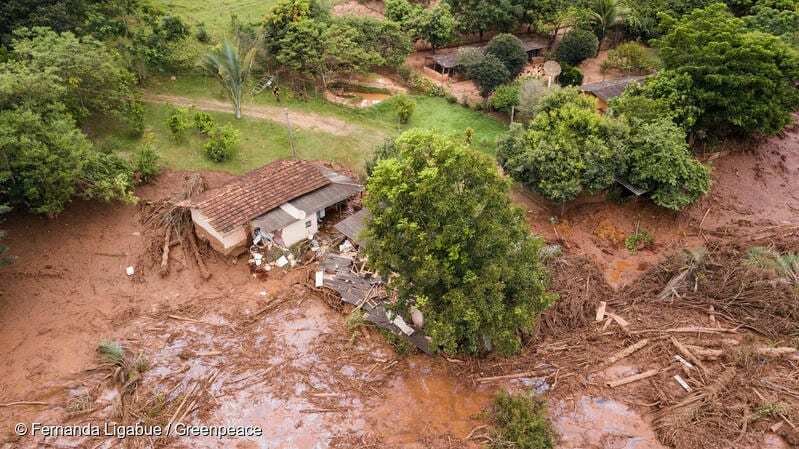 On January 25th, a tailing dam from an iron ore mine from Vale, a Brazilian mining company, collapsed, flooding with almost 13 million m³ of toxic mud the district of Córrego do Feijão, in the city of Brumadinho, in Minas Gerais state. Authorities search for survivors amongst the havoc. The drama of the people here is far from over. For those who survived the tragedy, ongoing fear is just another feeling they have to live with. 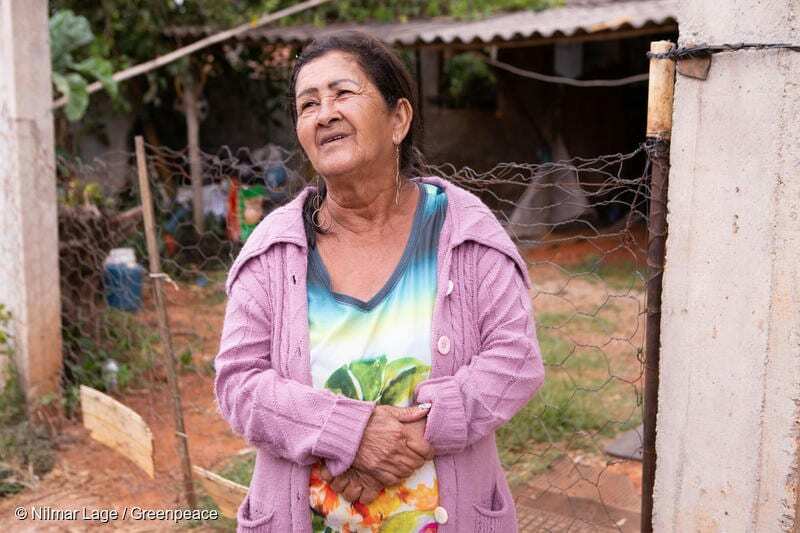 This is not the first time industrial mining has devastated a community in Brazil. In the same way that the mountain of Pico do Cauê was mined out of existence, Córrego do Feijão has also essentially disappeared from the map. The common ground between a mountain turned into a crater and a community buried by iron ore waste is not just mining, but also greed. The impacts of the disaster in Brumadinho are still unfolding. The muddy sludge is likely to extend up to 220 kilometers (137 miles) from the site and could be contained at the Retiro Baixo Hydroelectric Power Plant (HPP), between the towns of Curvelo and Pompéu. If not, it could reach the São Francisco River. Although it is not yet possible to know the total impact of the dam collapse, dead fish are being found everywhere. Vale’s mine dumps have already reached the portion of the Paraopeba River that cuts through the Pataxó Hã-hã-hãe Indigenous Land. To understand the magnitude of the impact and how we can mitigate it, we need to do a lot of research. I wish I was writing about something different. This is not the Brumadinho I’d like to be portraying. However, as long as there are signs of potential impunity and social injustice, we will continue to report them and demand reparations for the victims, that the guilty parties are brought to justice, and that the environment is, once and for all, protected. Greenpeace activists are in Brumadinho in Minas Gerais State, Brazil, documenting the tragedy and demanding justice for the people and the environment. Mariana Campos is a storyteller at Greenpeace Brazil.